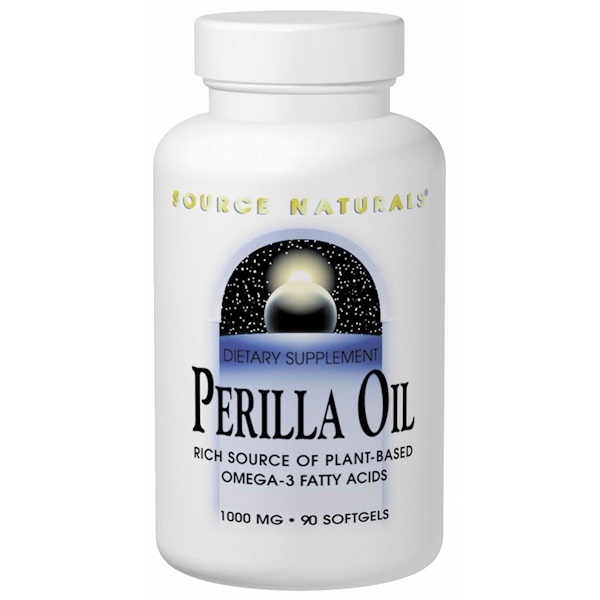 Perilla Oil, extracted from the plant Perilla fructescens, is a rich source of alpha-linolenic acid (ALA). ALA is a precursor to the omega-3 fatty acids EPA and DHA. ALA is similar to fish oil in its benefits, but without any unpleasant aftertaste. ALA may support the health of many organs and body systems, including the cardiovascular system, immune system, skin, brain, and joints. Population and animal studies suggest an association between high dietary intake of ALA and breast and colon health. 3 softgels twice daily with food. Note: If you are pregnant, may become pregnant, or breastfeeding, consult your health care professional before using this product. People taking anticoagulant or antiplatelet-aggregating prescription medications should consult a health care practitioner prior to taking this product. Not for topical use.